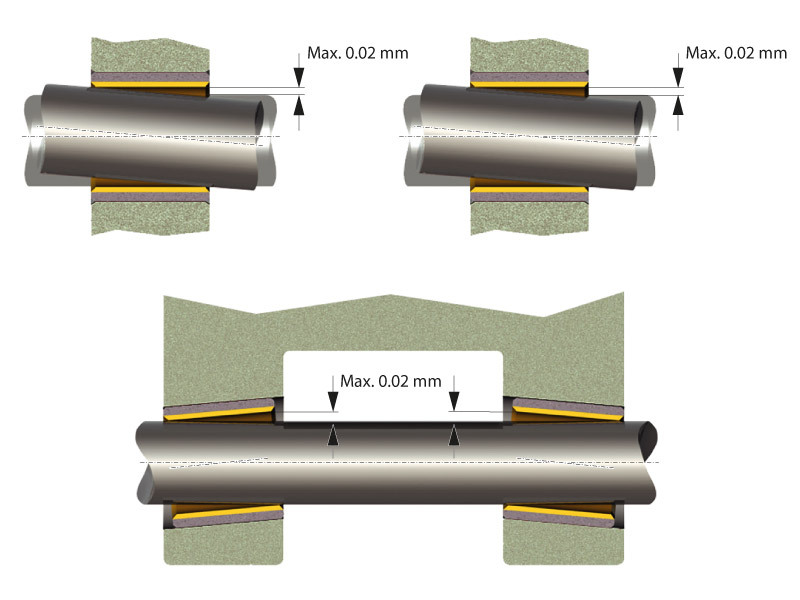 In a tribological system, the shaft (in the case of radial bearings) or the ressure shoulder (in the case of thrust bearings) should project over the sliding surface to maximise the contact ratio and prevent running-in with deposits in the sliding layer. Shafts must never have grooves or pricks in the area of the sliding zone. 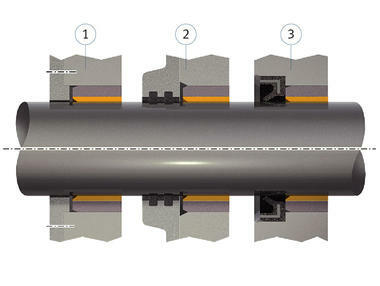 with lubrication of KS PERMAGLIDE® P2. Smaller roughness depths do not prolong the service life and may even cause adhesive wear. Larger roughness depths considerably reduce it. With KS PERMAGLIDE® P2, the lubricant is also efective against corrosion. Spheroidal graphite iron (GGG) has an open surface structure, and should therefore be ground to Rz2 or better. Figure 1 shows the direction of rotation of cast shafts in use. 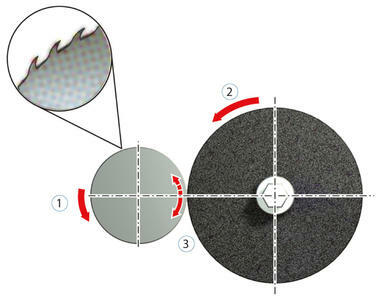 This should be the same as the direction of rotation of the grinding disc, as more wear will occur in the opposite direction. Thorough heat dissipation must be assured. In hydrodynamic operation, heat is overwhelmingly conveyed away by the lubricating liquid. 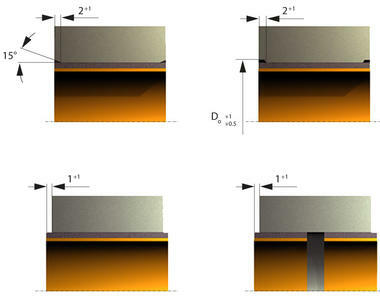 Galvanic protective layers At higher low densities or with longer coating times, the sliding layers must be covered to prevent deposits. Precise alignment is important for all radial and axial plain bearings. This is particularly the case for dry-running plain bearings, in which the load cannot be distributed via the lubricating ilm. Misalignment over the entire width of the bush must not exceed 0.02 mm (see Fig. 3). This igure also applies to the overall width of bushes arranged in pairs, and of thrust washers. Bushes arranged one behind the other may need to have the same width. The joints must be lush during mounting. Excessively high load around the edges of the plain bearing may occur as the result of geometric inaccuracies or under special operating conditions. This type of "high edge loading" can cause the bearing to become jammed. This load can be reduced through design measures (Fig. 4). Allow width of bush to project beyond width of housing. In addition, edge loading can be relieved by housing with an elastic design.